I love making things with a chevron pattern. They’re fun, easy and can be used to make something for anyone. 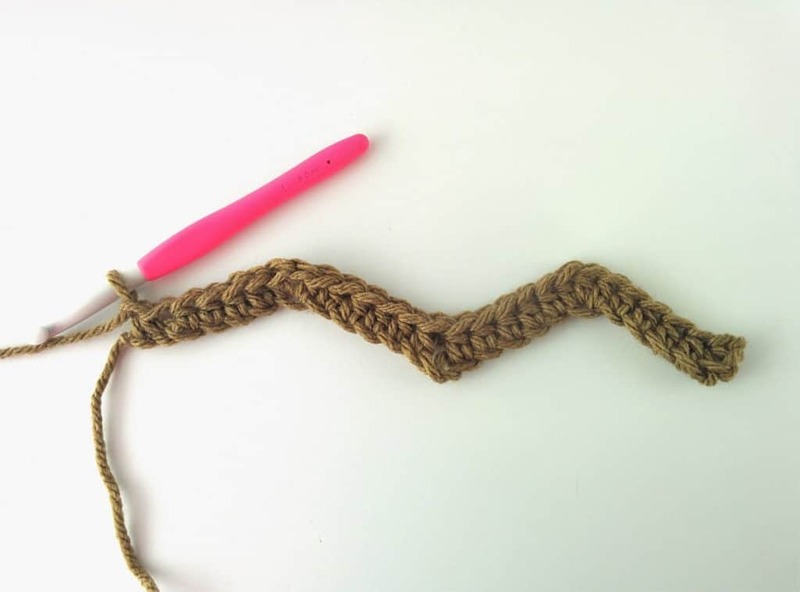 Recently, I received a custom order request for giant chevron throw, and although I’ve shared a pattern for a knitted chevron blanket before, I thought I would show you how to work a crochet chevron stitch. 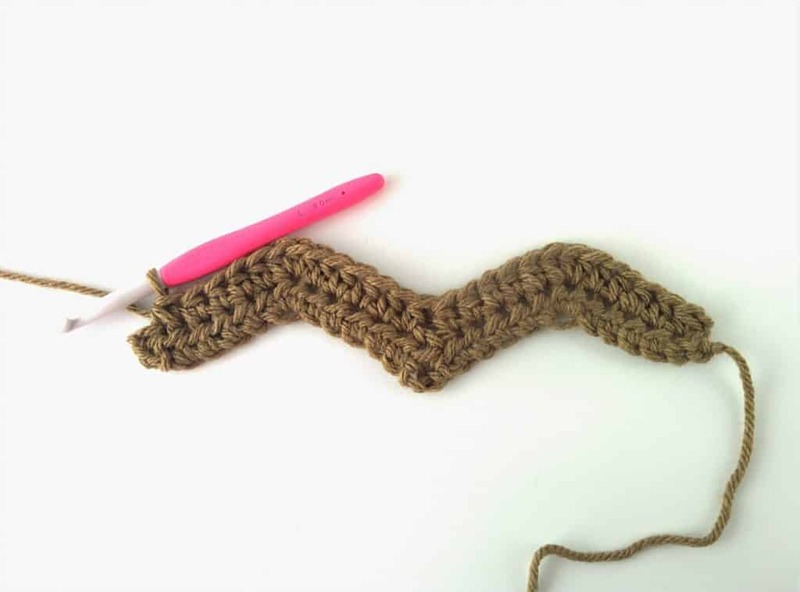 This pattern is really simple and after you work a row or two, you really get the hang of it. 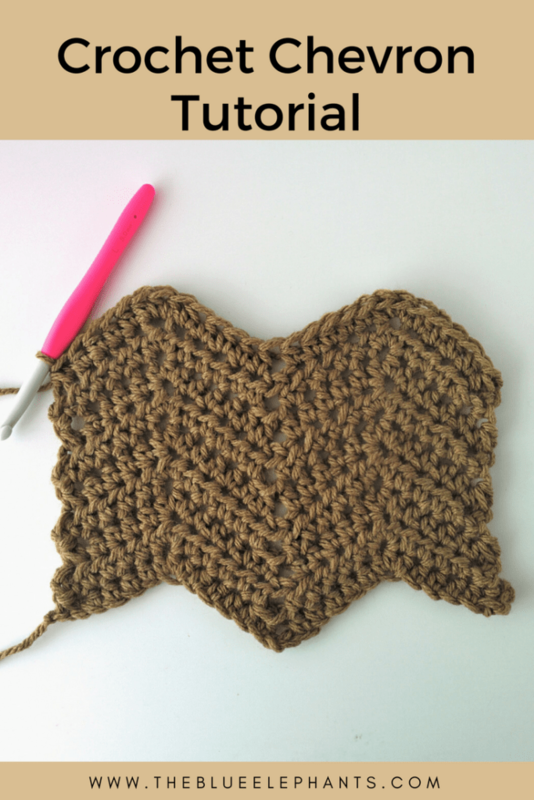 I used this stitch to work my Mocha Ripple Throw which you can see here. So, let’s dive right in! Let’s begin with the video. I love being able to share these tutorials with you through videos. It makes everything much clearer and you can see me creating the stitches in real time. If you want to check out some other videos, head over to my Youtube channel and subscribe! That’s all there is to it! 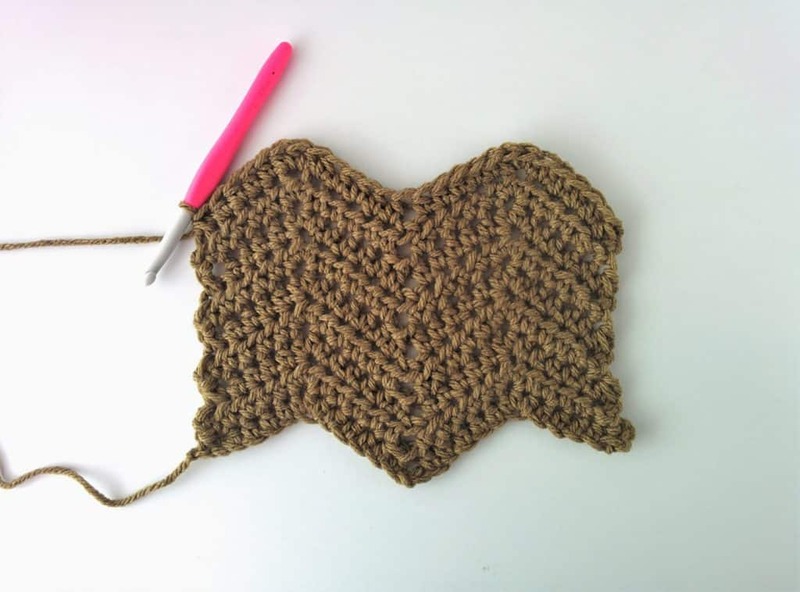 The crochet chevron stitch sample I used is worked in half double crochets (HDC), but you can easily do this with single crochets or double crochets, or any other stitch you want. The main thing is to create the peaks and valleys with increases and decreases. I broke the pattern down into written steps. I’m using an 8.00mm Clover hook and Knit Picks Brava Bulky yarn, but any yarn and hook combination is just fine. 1. First create a chain that is a multiple of 13 + 1. I used 27 chains to start my sample, but I should have done 3 repeats to show how the middle peaks differ. SO, start with a chain of 40. 2. 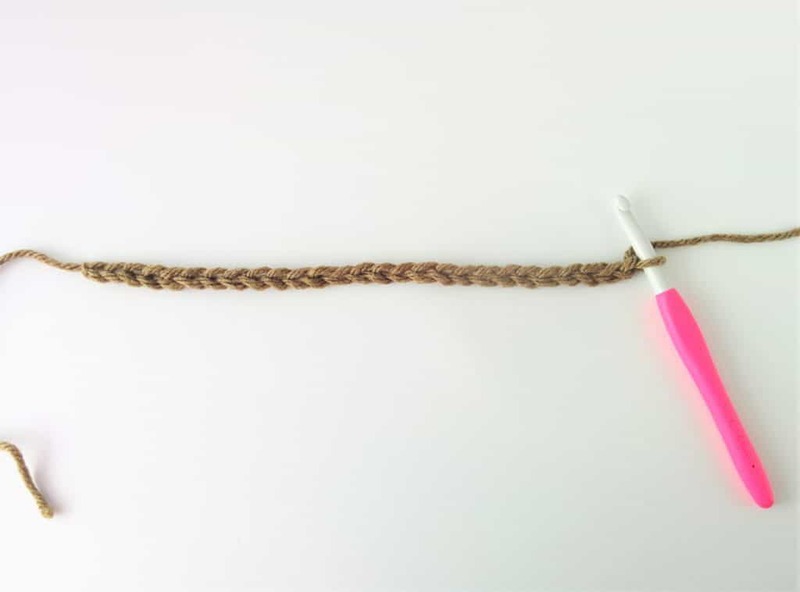 Insert your hook in the 2nd chain from the hook and pull up a loop. Then insert into the next chain and pull up another loop. Yarn over (YO) and pull through all three loops. This is a decrease. Work 4 HDC, then work 3 HDC into the same space. HDC 5 to go down the side of the peak, then skip two chain spaces to create the valley. *HDC 5, 3 HDC into the same space, HDC 5, skip 2 spaces*, repeat this until the last 6 spaces. Then, HDC 4, and decrease over the last two spaces. The first row is done! Insert your hook in the chain and pull up a loop. Then insert into the next space and pull up another loop. Yarn over (YO) and pull through all three loops. HDC 4, then work 3 HDC into the same space. HDC 5, then skip two spaces . *HDC 5, 3 HDC into the same space, HDC 5, skip 2 spaces*, repeat this until the last side. HDC 4, then decrease over the next two spaces. 4. Now, just repeat step 3 for each row until you get a piece that’s as big as you want it. Here is my sample after working the crochet chevron stitch for 10 rows. Again, I only did 2 repeats, but yours should have the 3rd peak. I hope you guys enjoyed this quick little tutorial. 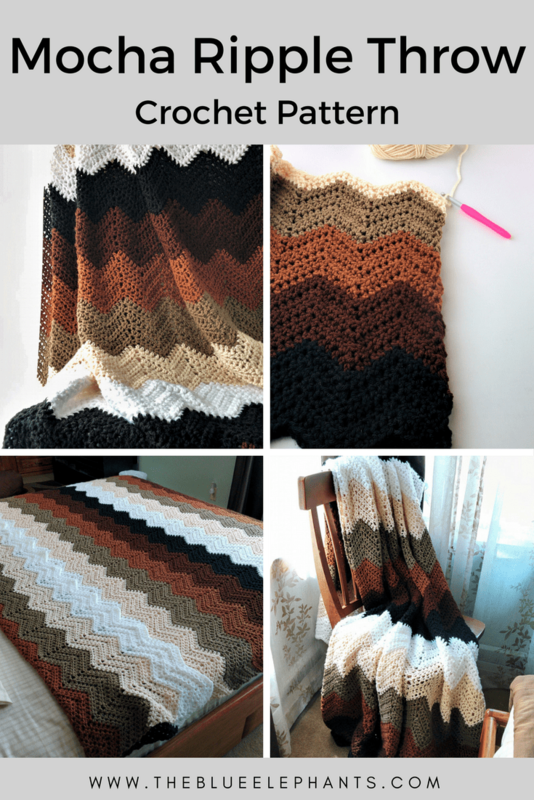 I’ll be back in a few days to share the pattern for the Mocha Ripple Throw. This throw is the biggest thing I’ve made so far and it’s really easy to recreate. If you liked this post and want to see more like it, let me know in the comments below! 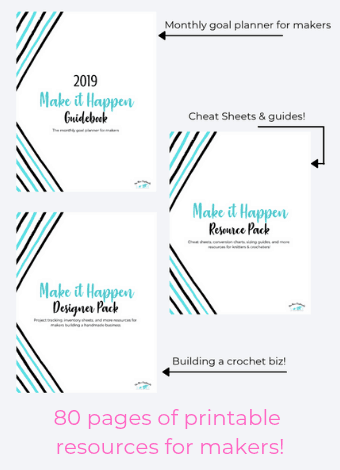 You can also use the form under this post to sign up for the weekly newsletter where I share new patterns, tutorials, and tips directly to your inbox. 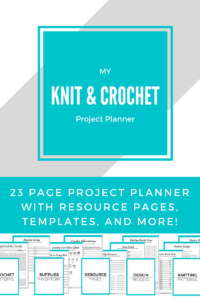 It’s free and you get access to the resource library full of freebies and guides like the Guide to Sizing Blankets and the US/UK terms cheatsheet! Thanks Alexandra! I tried using the decrecreas method, but the dips weren’t as prominent as I wanted them to be. I prefer he skip two method, but it’s entirely up to you! 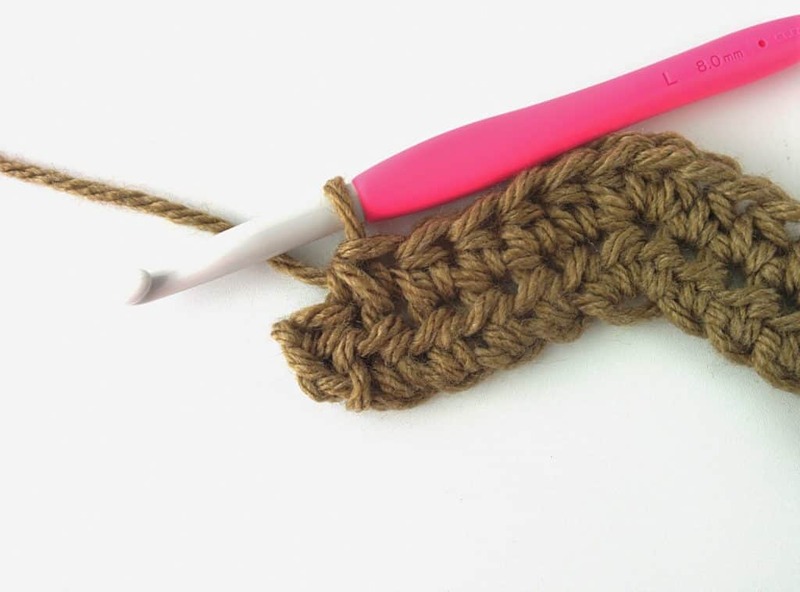 You can recreate the same pattern and just decrease over 3 instead of skipping, and you’ll get a beautiful result. I love the look of crocheted chevrons! I, however, am very bothered by the wavy that is usually created by skipping the two stitches. 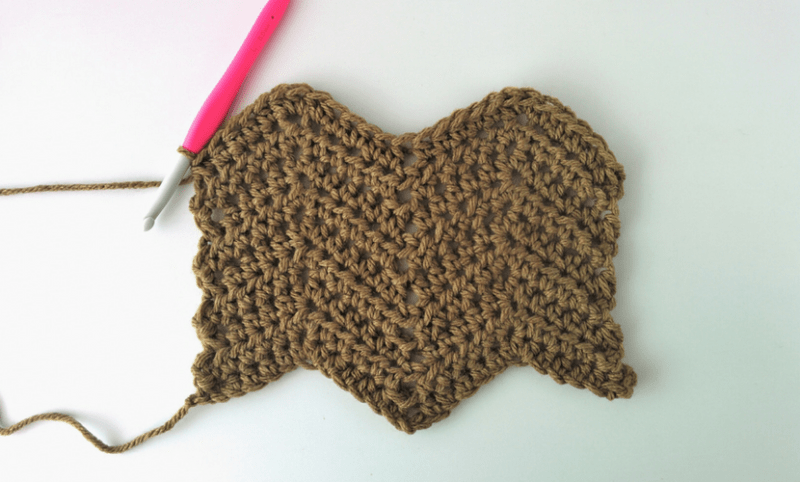 I always work my ripples with a decrease over 3 stitches as my bottom point. Found you through the Wow Me Wednesday Party hosted by Ginger Snap Crafts.